NEW DELHI, Sep 8 2016 (IPS) - Despite bilateral dissonances and an unresolved boundary issue, India and China — two of the world’s most ancient civilisations — are engaged in vigorous cooperation at various levels. The Asian neighbours’ relationship has also focussed global attention in recent years on Asia’s demographically dominant, major developing economies engaged in common concerns of poverty alleviation and national development. As the world’s two most populous nations, making up nearly 37 percent of humanity, India and China are committed to improve the lot of their people. These complementarities offer the scope to work in synergy and strengthen ties. 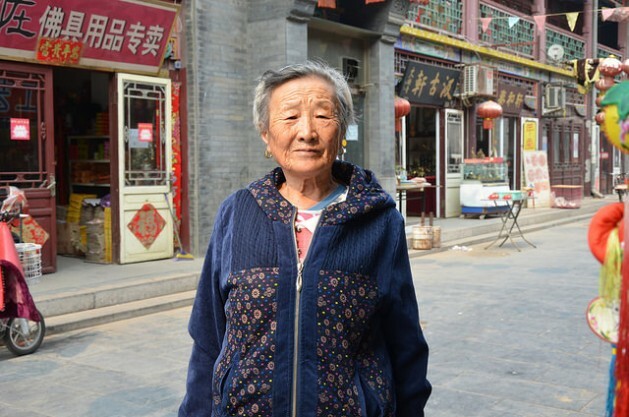 Over the next decade, China will be home to the world’s largest elderly population while India — because of its demographic dividend — will require jobs for the world’s largest workforce. This area offers both nations opportunities to work together. With Western economies remaining skittish, India - with its 1.25 billion people and bubbling entrepreneurial energy - offers Chinese investors enormous scope for growth. As neighbours, China and India have also shared a long history of cultural, scientific, and economic linkages. Following a brief border war in 1962, bilateral trade and investment suffered. However, the last decade the economic relationship of the two giant nations has gained traction. And from just about 3 billion dollars in trade at the turn of the century, the countries are now eyeing 100 billion dollars worth of merchandise trade. This will mean tremendous opportunities for traders and investors in both countries. Apart from sharing a new extroversion and enthusiasm in their economic policies, Delhi and Beijing have also tightened their economic embrace with the rest of the world. China and India are also members of the World Trade Organization, India as a founding member and China since 2001. Analysts say that robust economic ties between China and India will also play a stellar role in one of the most important bilateral relationships in the world by 2020. Even conservative estimates suggest that, by 2020, China-India trade could surpass US-China trade. There is a plethora of business opportunities for India and China, in sectors such as agriculture and food processing, asset management, construction and infrastructure, pharmaceuticals, electronics and information technology, and transport and logistics. The pharmaceutical sector also offers gargantuan business potential for both countries. China also has a vast underused manufacturing capacity, plus capital surpluses in need of new markets. With Western economies remaining skittish, India – with its 1.25 billion people and bubbling entrepreneurial energy – offers Chinese investors enormous scope for growth. China is also seeking greater economic cooperation with India on the Bangladesh-China-India-Myanmar corridor and the New Silk Route programme. Beijing could help accelerate India’s economic take-off by focusing on the key areas of manufacturing, roads, railways and industrial parks, which can form the bedrock for bilateral ties. Beijing and New Delhi’s attempts to build a strategic and cooperative partnership while expanding trade and economic cooperation has resulted in China emerging as India’s biggest trading partner. However, a few wrinkles need to be ironed out on this front. India’s trade deficit with China has ratcheted up from 1 billion dollars in 2001-02 to 48.43 billion in 2014-15. This asymmetry has raised issues of sustainability. However, bilateral engagements in this sphere have raised hopes of a more sustainable trade trajectory. Towards this end, the Commerce Ministries of both the countries have also signed a Five-year Development Programme for Economic and Trade Cooperation in September 2014 to lay down a medium-term roadmap for promoting balanced and sustainable development of economic and trade relations. China and India are also among 21 Asian countries to sign on to a new infrastructure investment bank — the Asian Infrastructure Investment Bank — which will offer the region a counterpoint to West-dominated financial institutions like the World Bank. China and India’s combined resources and talents can power regional and global economic growth. Despite being critical of China’s expansionist policies, and increasing assertiveness in the Indian Ocean Region and the South China Sea, India is keen on robust ties with China. As well as pursuing bilateral cooperation in areas like infrastructure, industry, communications and energy, both India and China are also forging Sino-Indian cooperation at multilateral forums like the G20, the East Asia Summit and BRICS. The two sides have strengthened strategic dialogue on such major international issues as climate change and global action, and safeguarded the common interests of emerging markets and developing countries. Delhi and Beijing are also keen to augment cooperation in such fields as railway and industrial park construction, security, anti-terror and anti-extremism, and to expand communication and exchanges in education and tourism, and facilitate more exchanges among regional governments of both countries, and jointly safeguard their common interests as well as those of all developing countries. Given that India and China have many shared goals and areas of convergences, a bilateral relationship premised on a balanced economic engagement, along with some inventive and bold thinking on the political front, can benefit both nations while jumpstarting an Asian revolution.